For some, the sound of buzzing creates a slightly heightened sense of awareness. For others, the buzzzzzz triggers a harrowing sense of anxiety. Nearly everyone in the world has an unpleasant memory of being stung by a wasp or a bee. If you haven’t ever had an unpleasant sting from the buzzing militia, consider yourself lucky. Some of these memories range decades, but they still carry with them the harsh pinch of the bite and the ensuing swelling and panic. While wasps and bees can be easily mistaken for one another, there is a substantial difference in their behaviour that sets them apart. Bees are relatively stubby and hairy insects with either all black bodies, or orange and yellow striations. The life of a honey bee usually revolves around gathering pollen from plants in order to make food for their entire colony. These insects aren’t particularly aggressive, but can attack if provoked. 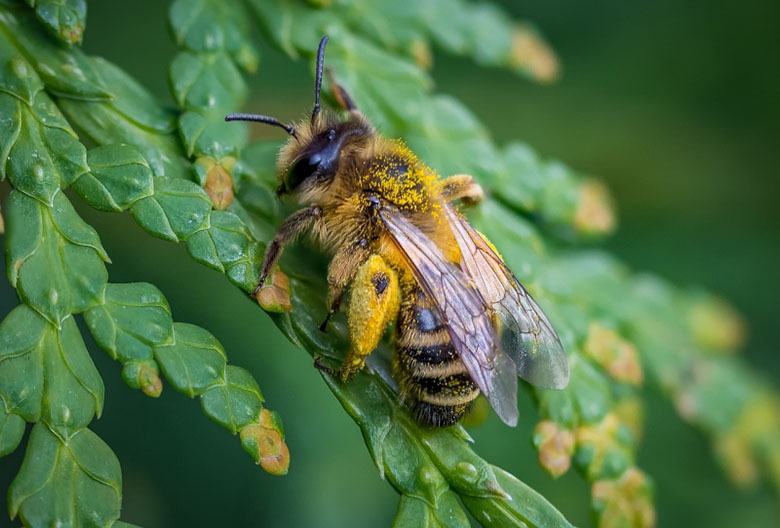 While it is understandable if a beehive near your residence produces some anxiety and you want to get rid of it, bees actually have an incredibly important role in nature. As bees collect pollen, they actually pollinate plants. This makes bees vital for agriculture and the environment. Bees have actually been disappearing at an alarming rate. Albert Einstein once said, “If the bee disappeared off the face of the earth, man would only have four years left to live.” This is why many people view beehives as an opportunity to chip in, and some even go as far as to help cultivate bee hives in bee-friendly gardens. Additionally, honey bees can sting only once and they die. 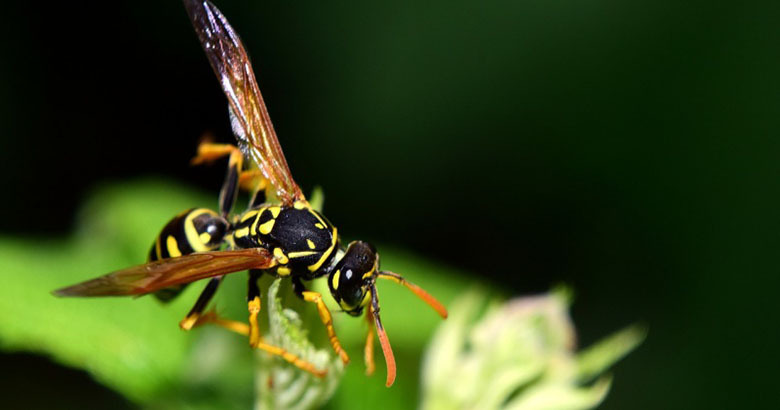 Wasps, on the other hand, can sting multiple times – and they aren’t hesitant to do so. Wasps also have their role in nature, but primarily as a natural pest control army that gets rid of insects that eat crops. Wasps have narrow waists, with four wings, and have smooth and shiny skin. They may be brightly coloured, and usually have black and yellow patterns. Wasps are known to be aggressive and can wreak havoc indiscriminately on animals and humans alike. Bees and wasp stings can cause fatal reactions in those that are allergic, so be very careful when dealing with them. When it comes to wasp control, the first step is always prevention. Prevention can be difficult for bees and wasps because they tend to settle in trickier to reach areas. The best way to prevent both types from moving in is to get rid of any unwanted food (including pet and bird food), cover rubbish bins, and removing any open water sources. Since both bees and wasps are capable of producing or hunting their own food, it’s important to control what you can. It’s absolutely key that you make sure there is no open standing water, because it can attract anything from bees and wasps to mosquitoes. Wasps and bees are generally attracted to sweet things. Even an outside fragrance could be enough to invite them. The next step is to maintain the structure of your home, as any broken panels and crevices make cozy homes for wasps and bees to build their hives and nests. Holes in the ground are also fair game. You could even set up a bird nest to attract birds that will go after any insects in the surrounding areas. A very popular non-chemical way to get rid of wasps and bees is to utilise smoke. Simply light a fire in a grill below a nest or construct a small fire underneath. Make sure the smoke is rising and seeping into the nest. This will force the wasps to evacuate or suffocate. After an hour or two, the majority of the wasps should be dead or looking for another home. Next, use a stick or long object to knock down the nest and dispose of it correctly. It’s important to be very careful when using any sort of open flame especially near your house because the end-result could be tragic. Destroying a wasps home likely won’t do you much good if you take your home out with it. Safety comes first with wasp control. You don’t need any harsh chemicals to get rid of wasps. You likely already have everything you need to take care of a minor case. A mixture of plain dish soap and water is enough to spray down a hanging nest. All you need is two tablespoons of dish soap in a spray bottle filled with water. The soapy water clogs wasps’ breathing spores and gives them an instant, humane death. Larger nests might require some additional firepower. Utilising a garden hose that draws from a water and dish soap solution is a surefire way to get the job done. Larger nests require extra precautions, since you are greatly outnumbered and the chances of you getting stung are much higher. While the majority of humans may enjoy the smell and taste of spearmint, wasps are not the least bit fans. Adding some plants such as spearmint, thyme citronella, wormwood, and eucalyptus around your home is an excellent way to deter wasps from setting up shop (and also give your home a nice green glow). 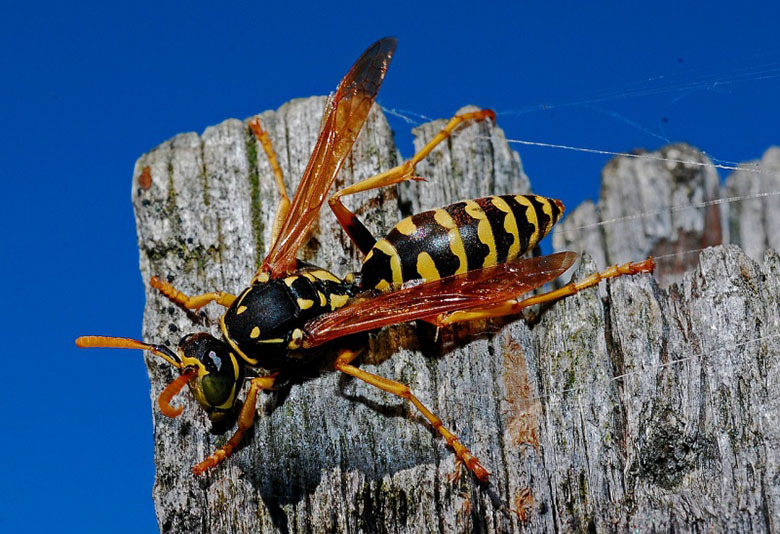 The sight of a wasp nest can be pretty unsettling, but the above strategies will help prepare you to get the job done yourself. Keep in mind that any attack you launch towards a wasp colony will likely be met with resistance. This is why it’s important to wear protective clothing as best you can to prevent getting stung. A light longsleeve shirt won’t do you much good, you’re going to need layers and a hard outer layer to prevent the long wasp stingers from penetrating. If your wasp problem is out of hand, you can always call a pest control expert to make sure the job gets done pain and sting-free.